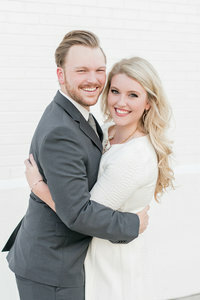 This sweet Eric & Jamie Associate Couple are insanely adorable, and we’re not sure they take a bad photo. Don’t they look so happy!? From their sweet smiles and their adorable pup to the gorgeous golden light at downtown Birmingham’s Railroad Park, this session was so great! Danielle and Mitch are tying the knot at Shades Mountain Baptist Church and then dancing the night away at Park Crest Event Facility in Hoover, Alabama! Our associate photographer, Grace, will be there to capture all the excitement. We are so excited about this big day! To learn more about the E & J Associate Program, click here!